I can’t believe that it’s been nearly four years since I started university- it was just yesterday that I was jetting across the country to start a new life, completely unaware of what it would hold for me. That being said, I can’t wait to move back home and begin my career. Spring break began with my usual trek back to San Francisco (and an entire row of five airplane seats to myself), and an In N Out Burger stop with my dog in the passenger seat upon arrival. 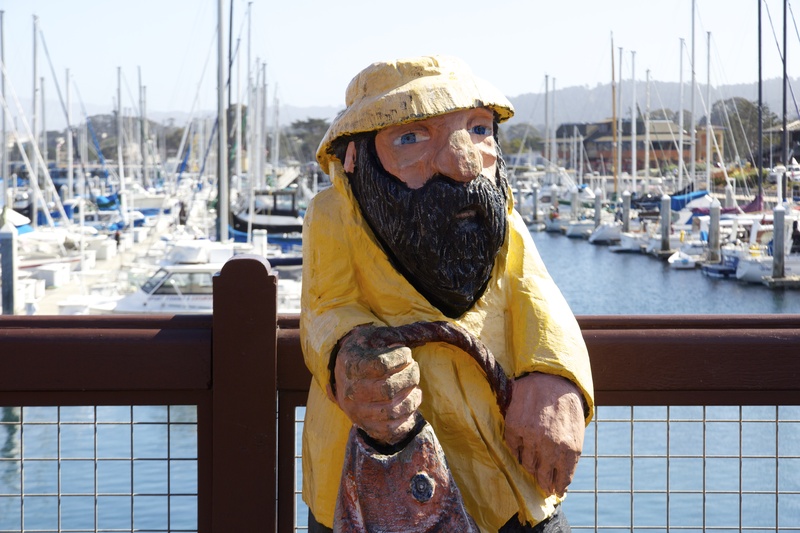 On Monday, my parents and I decided to venture to Monterey, California for the day. 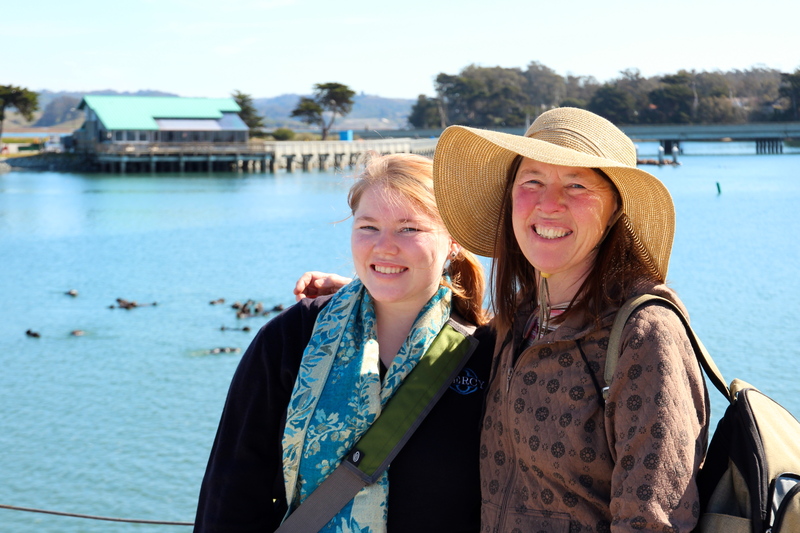 On our way in, we stopped at a beach harbor, where we spotted many otters and seals. 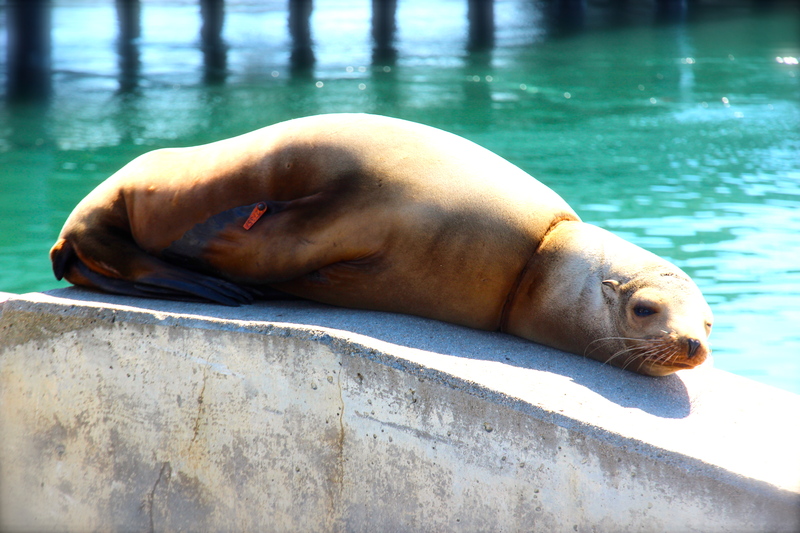 This one seal, beached separate from his clan, who were piled on each other, practically sinking the dock. You can tell by the tracking tag (and his behavior) that he’s spent time around humans. We didn’t leave without my mom and I taking a picture together (with my dad behind the camera). After food, my mom and I decided to go whale watching. Unfortunately, the seas were rough, and we didn’t see any whales, but he did see more seals. 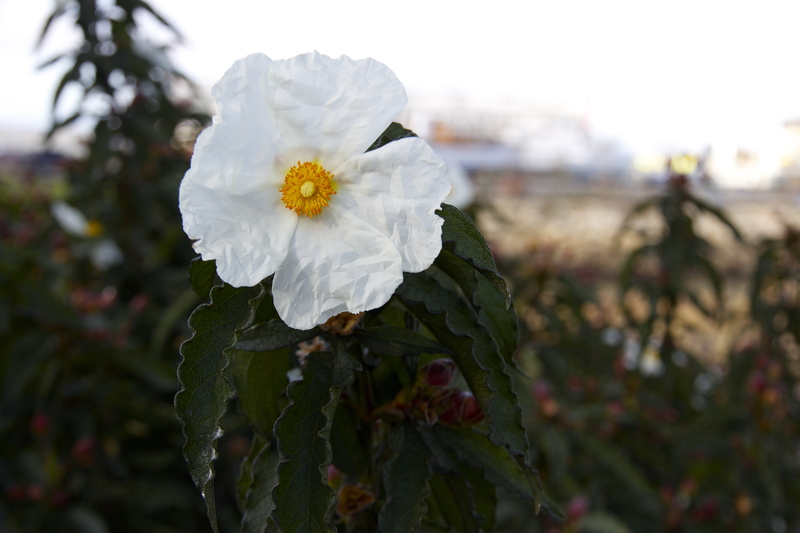 Before leaving the coast, I snapped a picture of a flower by the bay, at dusk. 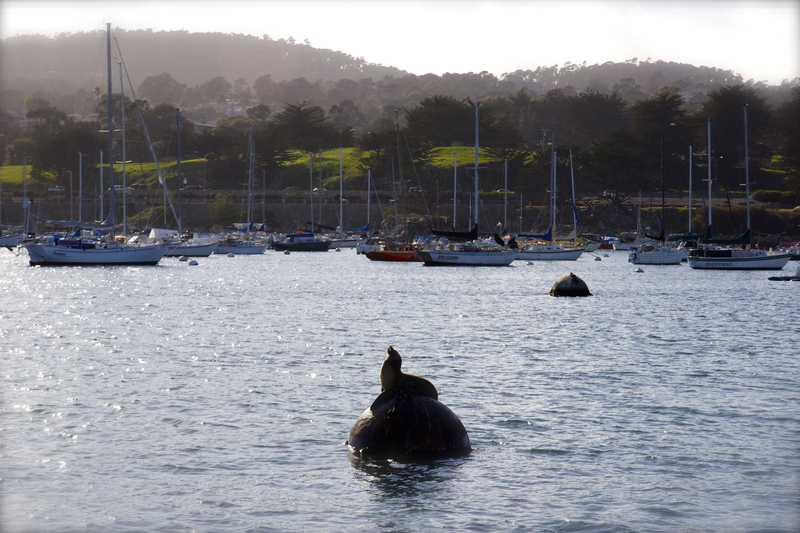 I look forward to returning to Monterey this summer to use the whale watching raincheck! Later in the week, I decided to take my dog and camera to the beach in Half Moon Bay. 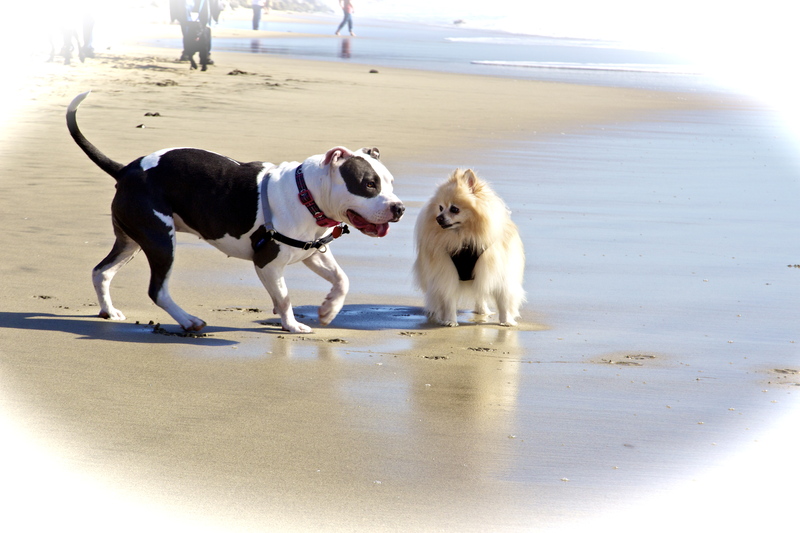 We met a lot of other dogs, including this pitbull and pomeranian. The day was bright, warm, and gorgeous, and made me want to never leave California- not even for a day. Like a lot of people, I have a dream of living on the beach without a care in the world. The next day, I met with my neighbor, Kit, who has asked me to help her out with a project. 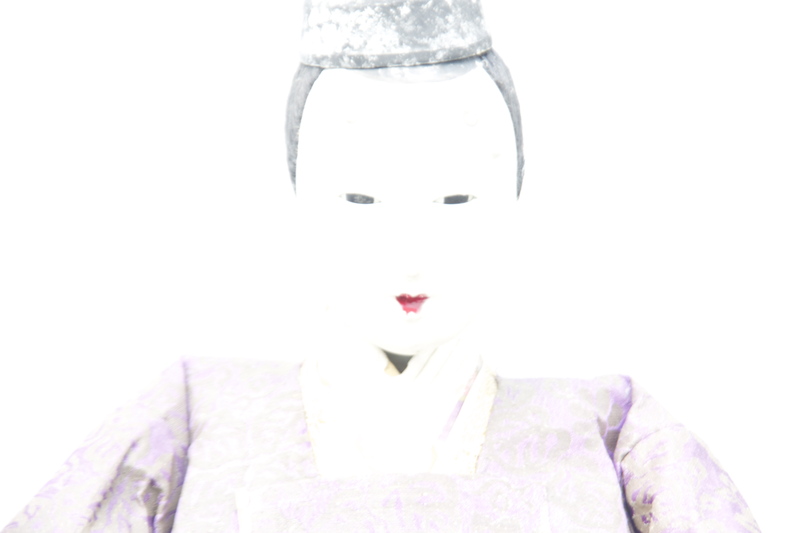 Part of that includes photographing antiques, one of which was a set of dolls from Japan made in the mid-ninteenth century. 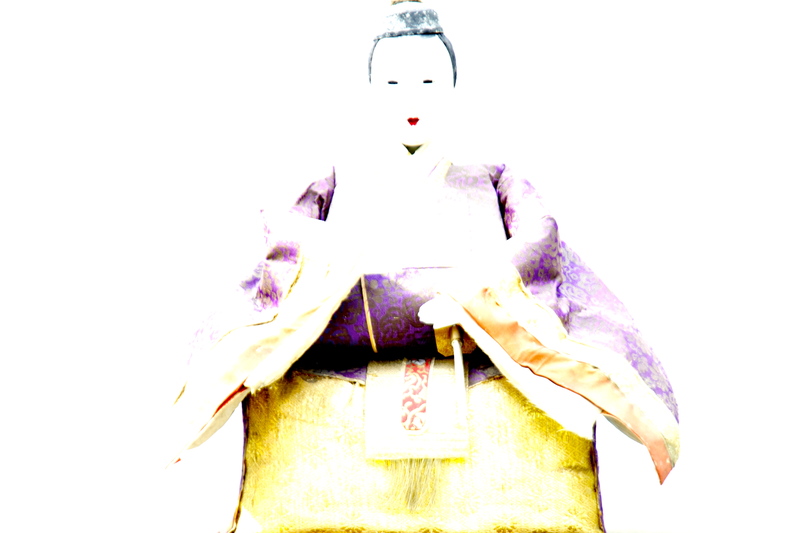 Above and below are photos of the Emperor Dolls. I can’t wait to return to California for good, after I graduate from university in ten weeks! 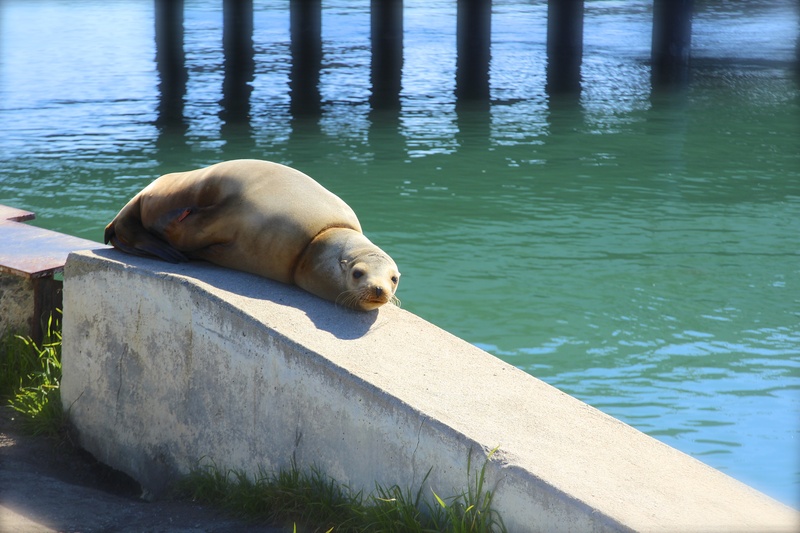 This entry was posted in Blog Post and tagged antiques, california, dog, dolls, flowers, half moon bay, hockey, japanese, japanese dolls, labrador retriever, mercyhurst university, monterey, ocean, otters, pacific ocean, san francisco, sea life, seals, whales on March 3, 2013 by Katie.